Today the importance of networking cannot be underestimated. In this article we share practical tips about how to use the different types of professional networking available to you. Older workers may still recall the job for life, when professional networking helped them rise up the corporate ladder. But today's job market is increasingly fluid. By 2001, half of all employees in the UK had been working for the same firm for only four years or less (Source: ONS). Building relationships is now an important way of creating opportunities in this flexible job market. It can be easy to neglect relationships when you’re overworked. 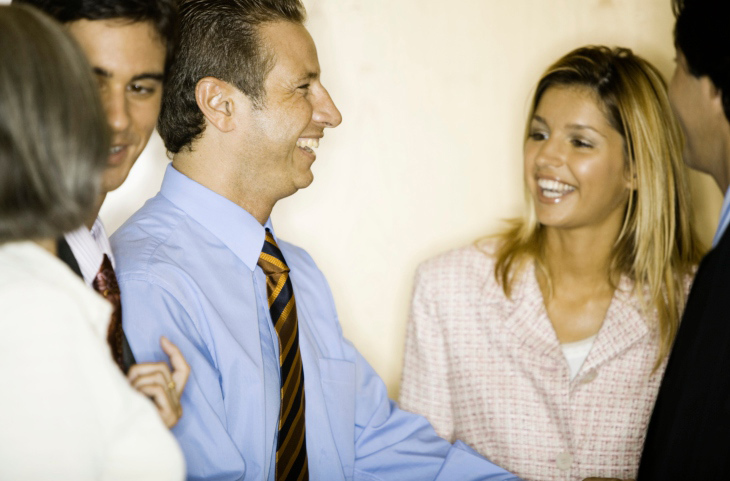 Make time to keep in touch with people in your office. Book a short meeting with your manager and arrange to have coffee or lunch with a colleague. Introduce yourself at meetings. Try to make a positive contribution or raise an issue. This will help people notice you and value your presence. Register to attend events and conferences that are relevant to your profession. Use this opportunity to meet new people and get to know them. Introduce yourself to someone you don't know and swop contact details. If you’re not sure where to start, pick someone interesting from the list of attendees. Join a union. Union membership can be a great way to expand your network and make a difference. Today, human and business interactions increasingly take place online. Online networking can be an important element in your networking strategy. LinkedIn is one of the largest social networking sites in the world, and the most popular social media aimed at business networking. On LinkedIn you can share your portfolio of skills, strengths and qualifications. You can join and contribute to business networking groups which are focussed on your organisation, profession, sector or region. It is important that you do not focus solely on expanding your network. You are encouraged to actively participate in a way which will help you to build relationships. Other popular social media includes Twitter, which can be used for linking with other professionals and micro-blogging about your work. Facebook is a more general social networking platform which can still be useful for increasing your profile and sharing events. For more hints and tips listen to the free Prospect podcast on the importance of "Networking".